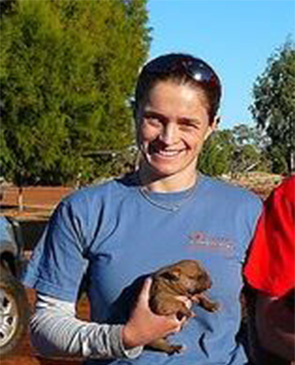 Drs Alison Taylor and Michael Archinal are improving the health of dogs and people in remote Aboriginal communities. Since 2011, Alison and Michael have made a twice-yearly trek from their veterinary surgery in Canberra to Utopia in the Central Desert, a 10,000 square kilometre region in the Northern Territory. Leading a team of volunteers and at the invitation of traditional owners, Alison and Michael have desexed more than 1,000 dogs, treating thousands more for worms and skin mange. The program has reduced the number of dogs in Utopia, while decreasing skin sores amongst locals by 87 per cent. Community members are very grateful for the help in controlling a major source of illness and stress. Each trip takes great effort and cost to organise, with the $40,000 annual expenses covered through dedicated fundraising. Despite flies, heat and onlookers, the pair have adapted their skills and adjusted their procedures to accommodate operating in a challenging environment, while making an invaluable contribution to animal and human health in remote Australia.